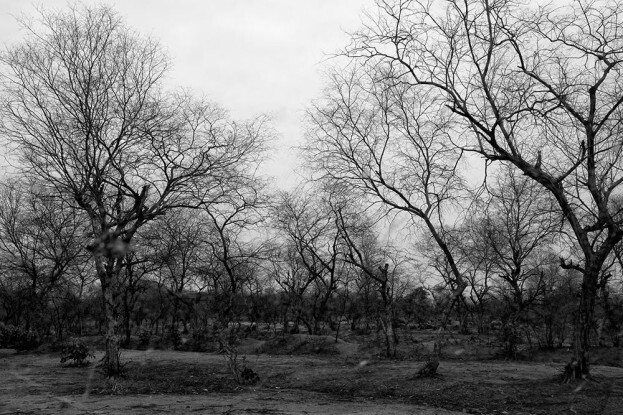 All trees in the Heerapur jungle in Palera are dead and only their skeletons are seen. 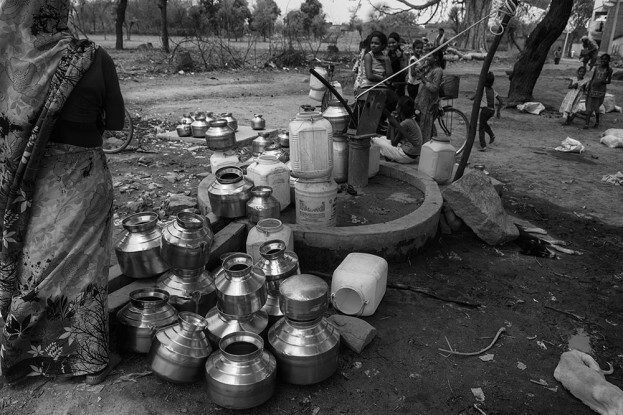 At the only handpump in a village in Tikamgarh district, utensils are lined up in a queue while children and women wait. 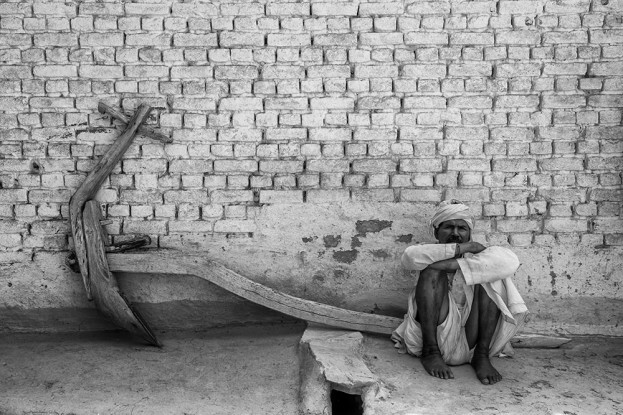 With no farming to be done, a villager sits through the des­pair while his plough lies unused. Before it died of hunger and thirst, this cow was abandoned by its owners in Nainwari village, Tikamgarh, as they couldn’t feed it. Water bodies have dried up and there is little vegetation to provide for fodder. 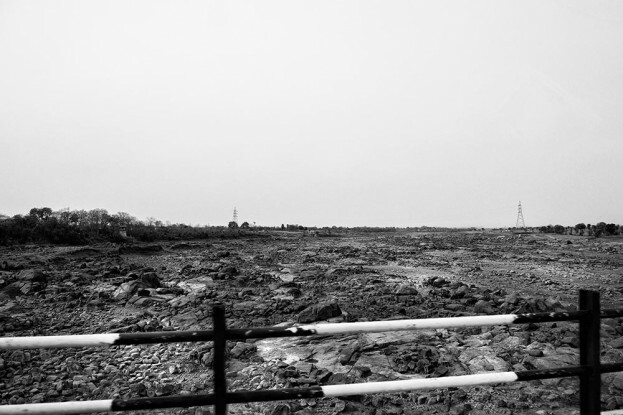 The Dhasan, one of the tributaries of the Betwa, has gone completely dry. Despair and defeat are all this old woman seems to possess. The face mirrors the landscape. To see what climate change looks like on the ground, come to Bun­d­elkhand. Here all that is not alr­eady dry is drying fast—the wells, the ponds, the streams, the trees, and bodies of men and animals. 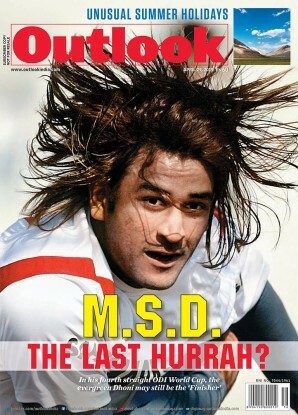 While arid Marath­wada has been in news for similar reasons, this region between the Gangetic plains and the Vindhyas has caused nary a blip in the national media. 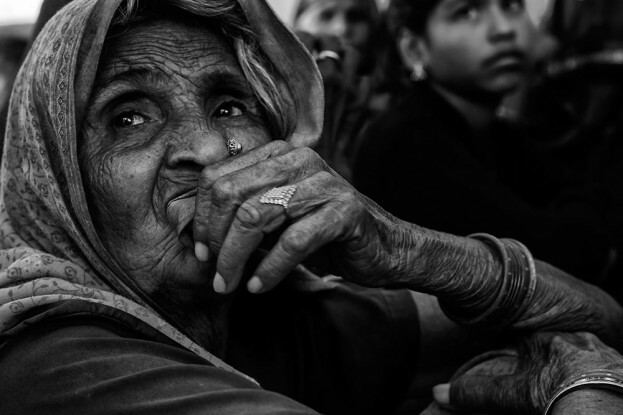 Bundelkhand has seen first-hand what climate change does to people and nat­ure. A rain-shadow zone, average rainfall was never much to speak of. What has plummeted in the past few years is the cap­acity of the region to cope with it. Any drop in rainfall now turns chronic cri­sis into acute disaster. Yogendra Yadav of Swaraj Abhiyan called last year’s drought “the proverbial last straw” (The Footsteps of a Famine, February 8). How did this happen? Ecologists point to depletion of forests, neglect of ponds and rampant stone-quarrying. Villagers say they are used to waiting for the rains in vain, but it is only in recent years that so many reservoirs have gone dry. With­out water, there is no sowing and the vegetation is dying. So are the cattle and, with them, all farm-related livelihood. With more and more people leaving the villages in search of work, there are more households with no young men than ever before. 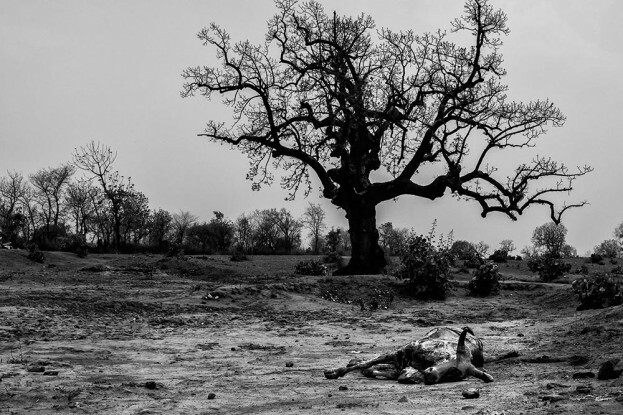 Indeed, the climate is killing Bundelkhand, but will we look at what ails the climate?